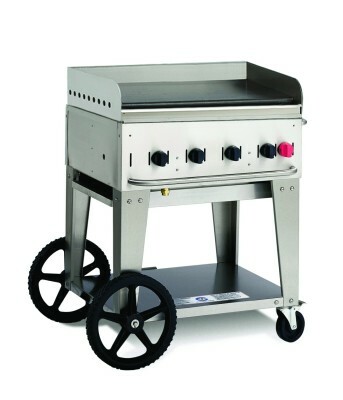 This 30" gas BBQ system has been developed specifically for commercial catering purposes, and with 4 burners and a cooking surface of 710 x 533mm it is ideal for professional use. The BBQ system package includes a roll dome, bun warmer, removable end shelf and all weather cover to ensure you have the complete kit for BBQ catering. 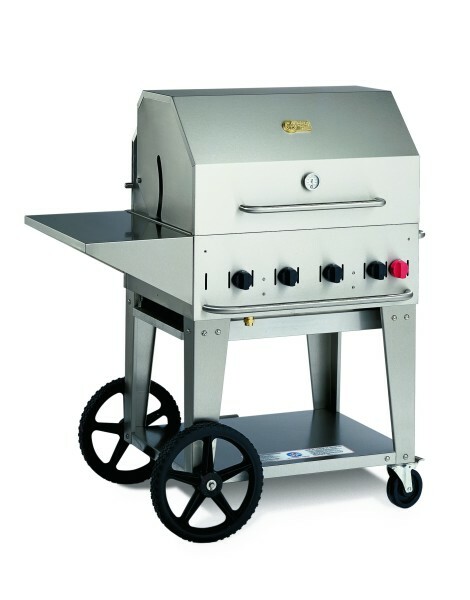 With this Crown Verity BBQ system you can cook up to 210 burgers and 175 rib steaks per hour.